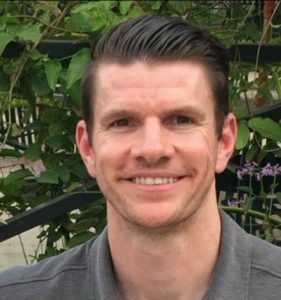 When Ryan Kile was in college at CSU Fullerton, the headquarters for the 2018 Better Together: California Teachers Summit, he walked past a campus flyer seeking math tutors at a local high school. Now, 13 years later, he considers becoming a math teacher one of the best decisions of his life. His experience makes Ryan all the more determined to hone his craft for his students and get them excited about learning. As a facilitator at the Summit since its inception in 2014, Ryan has seen the Summit grow into a powerful and inspiring day of learning. The fourth annual Summit is scheduled for July 27 at 31 sites across California. Ryan is especially impressed with the Summit’s Edcamp sessions – an open format that allows teachers to share their ideas and topics for conversation in an organic way. As a seasoned teacher, he says sharing and learning from other educators, both in person and through the Summit’s online channels, helps him stay on top of the latest trends in education. Each year, the Summit introduces a new theme. This year’s theme, “It’s Personal: Meeting the Needs of Every Student,” hits close to home for Ryan, who is always looking for creative ways to motivate his students based on their different learning styles and interests. As just one example, Ryan incorporates activities from Khan Academy into his curriculum – which allows kids to do math problems or watch videos explaining the lessons online, rather than just copying notes from the white board. While technology, including math software, is one strategy for personalizing learning, it should not be the only one. Ryan offers his students a mix of interactive activities, such as getting students to move around and talk to each other in the classroom. In addition to allowing the sharing ideas and resources, the Summit provides a great support system throughout the year. At a time when teacher protests and school budget cuts are dominating the news cycle, Ryan is ready to reconnect with the #BetterTogetherCA community.